About sustaining Momentum – by IC’s Barbara MacLennan. One of this month’s stories sparked some thoughts for me about communities sustaining momentum, or “keeping going” with a focus on their visions. Back in 2011 at Victory Village Forum, I recall hearing local people share their narrative about a thirty year journey to create and nurture a strong sense of community in the suburb of Victory in Nelson. Their story showed conscious respect for the people and mahi that had gone before. And the leadership culture of embracing new people, new ideas, and new approaches into forward planning and action. Five years on there are many more activities, people and leaders contributing to a widely held local vision. It’s got me thinking about why other community-led initiatives endure and keep transforming over time, and how i mportant this culture of leadership is. Often they begin with a few people at the core, sharing ideas, engaging others in conversation and practical effort, and welcoming both contributions and challenges to help test and grow the vision. Middle aged people in Ōpōtiki recall how many of them laughed and were disbelieving when some decades ago, local kaumatua shared their vision to re-establish an Iwi economy based on the ocean, through an offshore marine farm. Rather than rejecting disbelief; leadership embraced the questions, nurtured curiosity by marine researchers and regional government, and supported investigation. 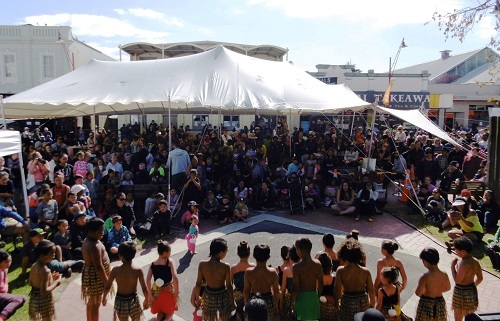 And they actively engaged with any organisations that took an interest, including Ōpōtiki District Council. Decades on, through persistence, investment in relationships, research and development, the vision of creating local jobs and wealth is held by the wider community. The Marine Farm is operational and beginning to employ local people. The community anticipate a final validation process will unlock government funding to complement regional and local contributions for the redevelopment of the Ōpōtiki Harbour, the enabler to locating marine and aquaculture processing. Sharing and growing ownership of the vision and effort enables collective ownership in adversity, as well as in times when rapid progress is being made. Communities face complex challenges which have exacerbated over decades. And complex problems like poverty, unemployment, poor education, health and housing, failing businesses, all have multiple root causes. Short term, siloed interventions led from outside communities have failed misterably for decades. The journeys in Victory and Ōpōtiki are very long, and include many disappointments and frustrations along the way. But these communities have persisted, and teach us much. To make progress it takes local leadership, convening diverse perspectives and knowledge, and working together with a long term view. Within that relationship two capabilities seem vital to nurture – a willingness to learn from experience, including failures and disappointments; and a dedicated commitment to naming and celebrating successes along the way.